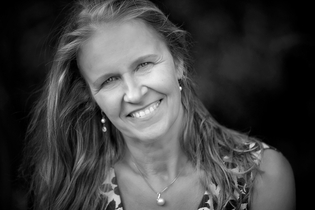 Cornelia Funke, author of the international best-seller THE THIEF LORD, makes her brilliant debut as a picture-book writer with this winning tale of a young princess's adventure! 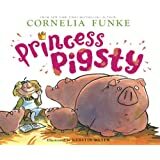 Cornelia Funke, author of the bestselling Thief Lord, tells a short, sweet story about a brave little princess with a mind of her own. her hand in marriage! Violetta is outraged: "You want me to marry some dimwit in a tin suit?" Fortunately, of course, the princess finds a way to come to her own rescue. I loved this strong-girl-succeeds-despite-the-odds story so much when one of our girls got it from the library, I ordered it from Amazon. But reviewer "Pam Tee" hit the nail on the head. This is a great life lesson book for older kids. The story is a great way to introduce kids to the idea that sometimes life really rots, but you don't whine or wallow in self-pity, you make the best of it. It's a man's world (still!) but that doesn't automatically make girls victims; you just learn to play the game better than the boys. This story shows what can happen when a very precocious and clever girl does just that. Yes, some themes younger kids won't get, but still an excellent lesson. Regarding the queen: Life isn't fair. Sometimes people die. In the real world, you don't get to choose when your kids will experience that for the first time. (Put your modern squeamishness aside for a moment and remember that up until less than a century ago, childbirth was THE #1 killer of adult women. Orphanages are not a recent invention.) If you're that freaked out by the queen dying, wait until your kids are older. Having said that, my six-year-old girls took to it just fine. So, four stars only because it's not really for younger kids, the themes are too hard to explain. I actually bought this book along with other female empowering fairy tales for a friend who is a teacher. She commented that it was fairytale week so everyday they read at least one fairytale and she recounted," it's so depressing the girls just wait around for a prince..." I told her she's reading the wrong fairytales and bought her these books. She read them to her class and the kids loved them! She said even the boys loved them and had lots to say. They liked how it wasn't like the other fairytales where boys have to do everything and girls just wait for someone to save them; girls can do stuff too. Love kid reviews but it was a big hit among other wonderful female friendly books. 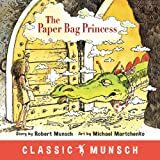 This story is a refreshing deviation from the damsel-in-distress princess stories that have been the standard fare for so long. My daughter loves to turn the pages and touch the illustrations as I read it to her. 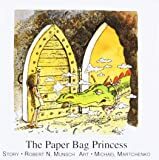 5.0 out of 5 starsMy 4/5 year old and I both enjoyed this book. This book provided a happy break from Disney princesses. My daughter and I read it first when she was 4 or 5 years old, maybe enven a bit younger. DD loves Disney princesses and is a girlie girl all the way through. She loved this book, and so did I. We read it many many times. Great demonstration that princesses can be different. Reading some of the other reviews, we never focused on the part where the mother died. Like so man things kids are not deal with yet, DD so far ignored that part as far as I can tell, and I did not push it, knowing she would ask questions when she is ready. Definitely recommend this book, if you are ready for a good laugh yourself when you read bedtime stories. 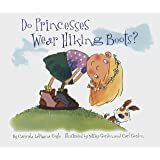 This is a great book for little girls because it doesn't show the princess as waiting for her prince to come rescue her. She takes charge of her situation and beats out all the other knights who are trying to win her hand in marriage. 1. That girls can do anything boys can do; even traditionally male things. 2. That you don't have to follow the expected path. I bought this for my daughter who is too young to appreciate it, but my 4 year old son loves it too. 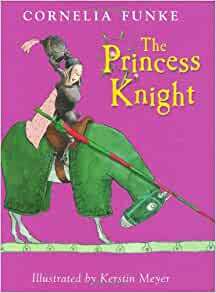 Although my daughter is the recommended age it is a little more detailed than she has the attention for so I read an abridged version. The story is very positive and lets girls know they can be whatever they want no matter what someone else tells them. My daughter likes walking around saying she is a princess so I wanted her to know princesses do not have to be how they have been portayed in the past. 5.0 out of 5 starsOne of my daughter's favorites! Love this book! I got it awhile ago, but it has really become one of my daughter's favorites so we read it all the time. Great message about independence and rising above stereotypes.